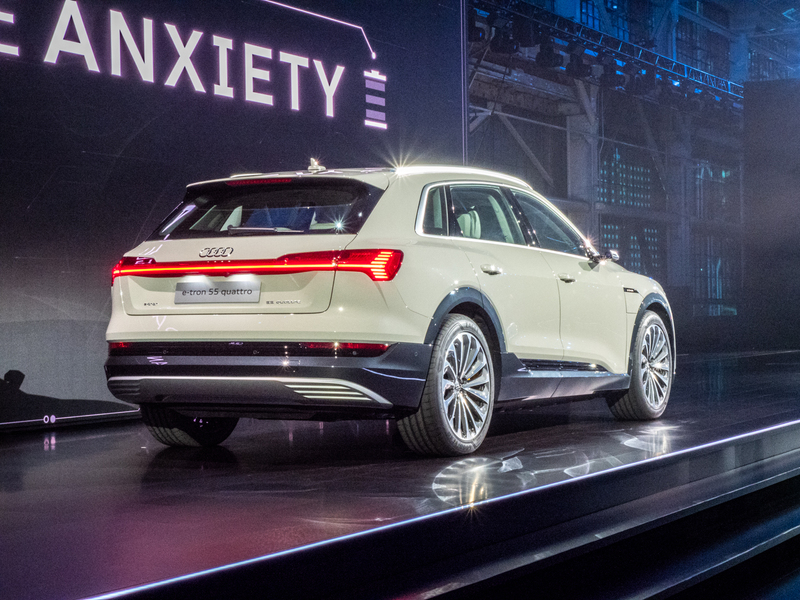 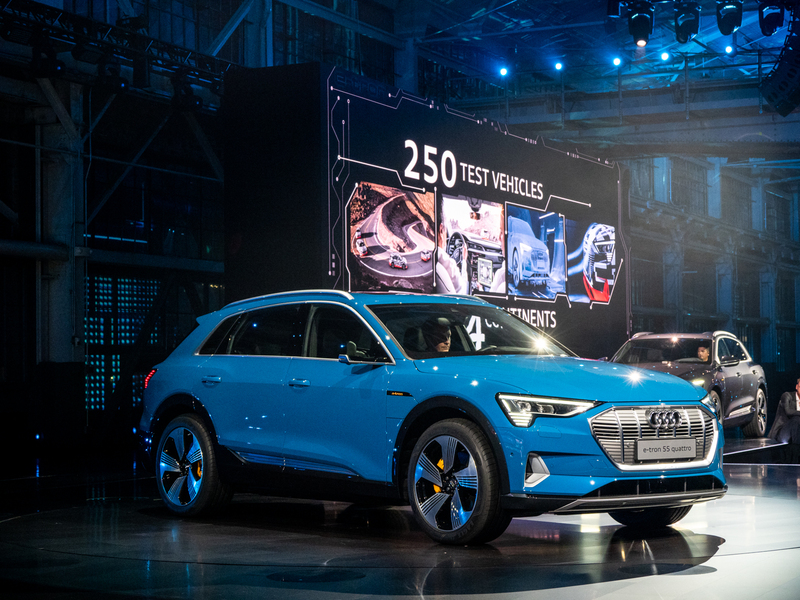 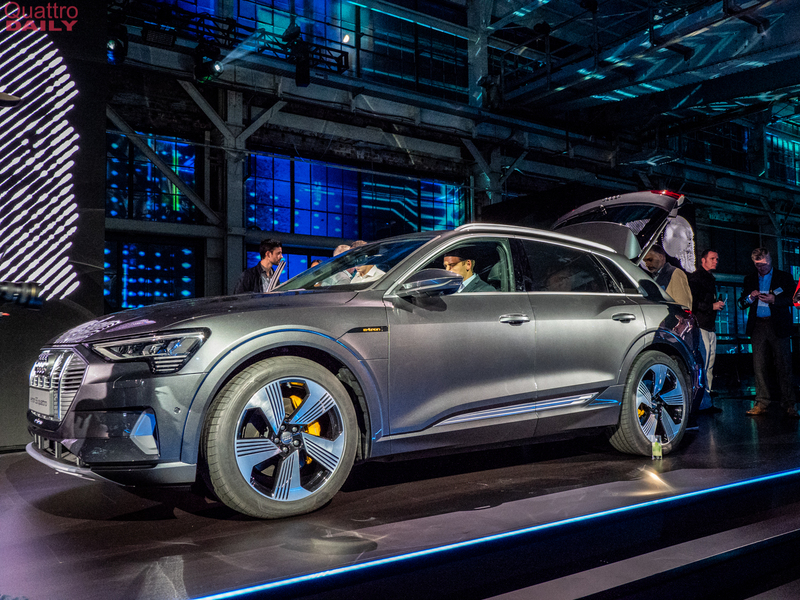 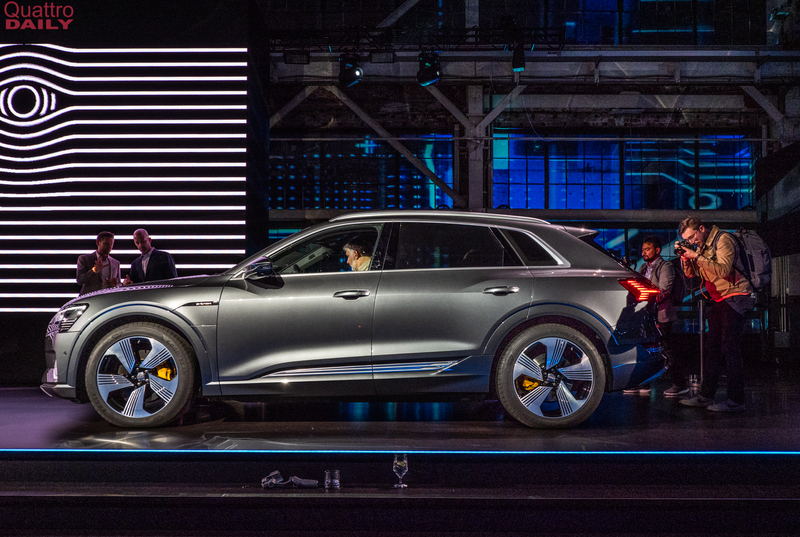 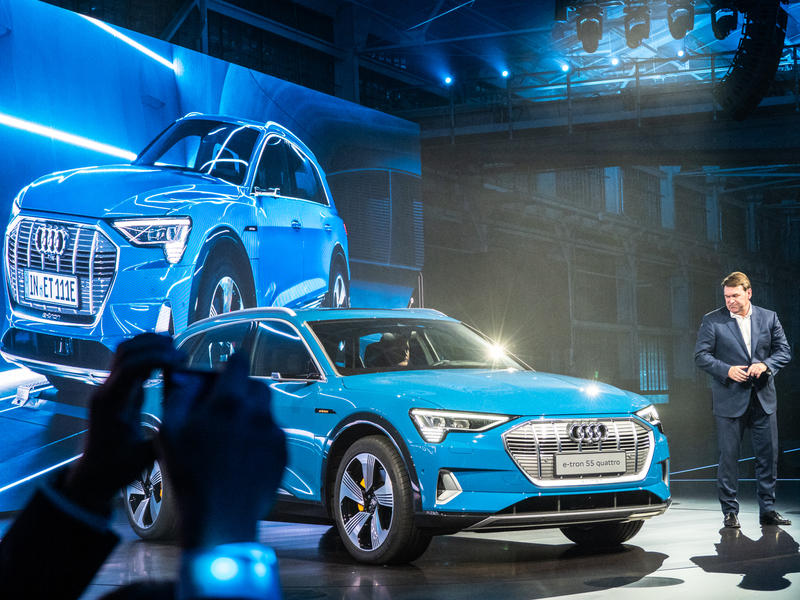 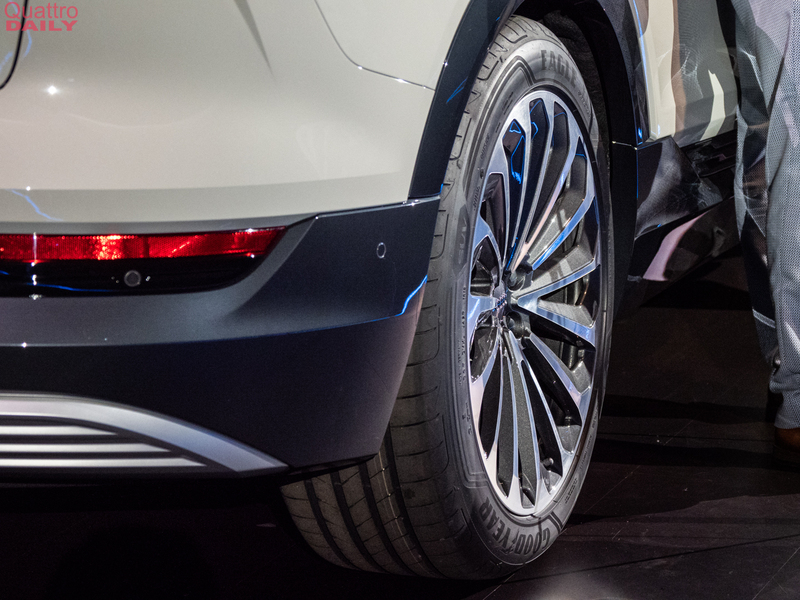 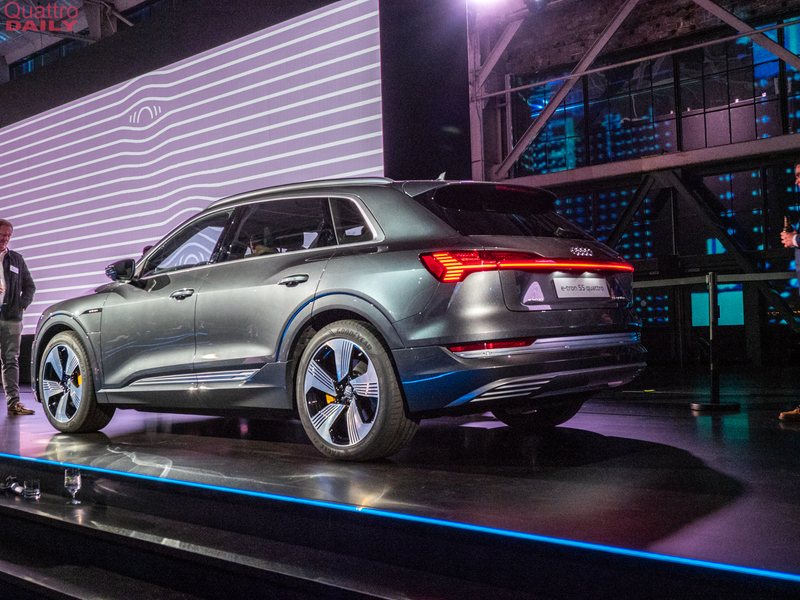 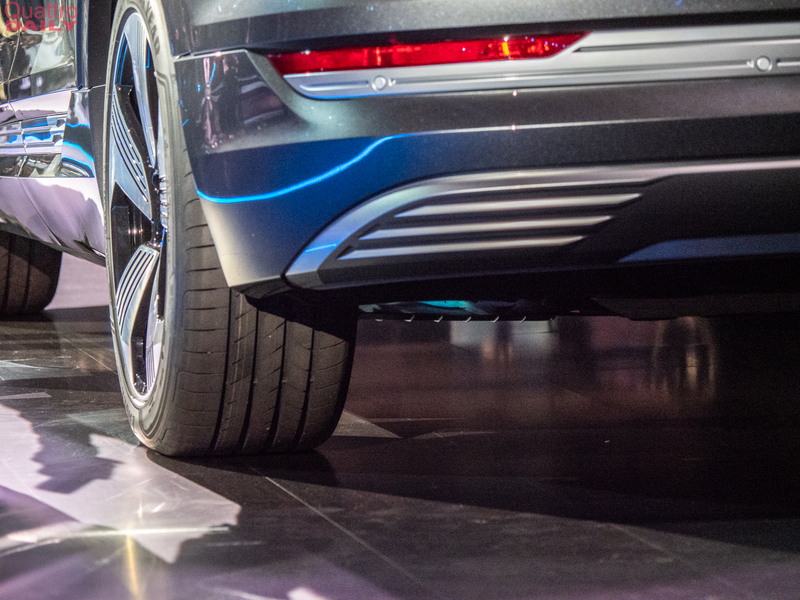 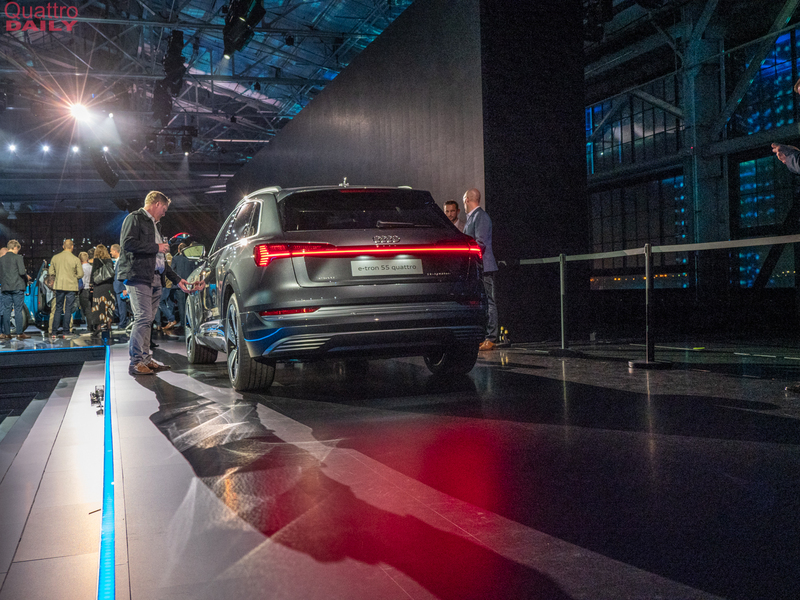 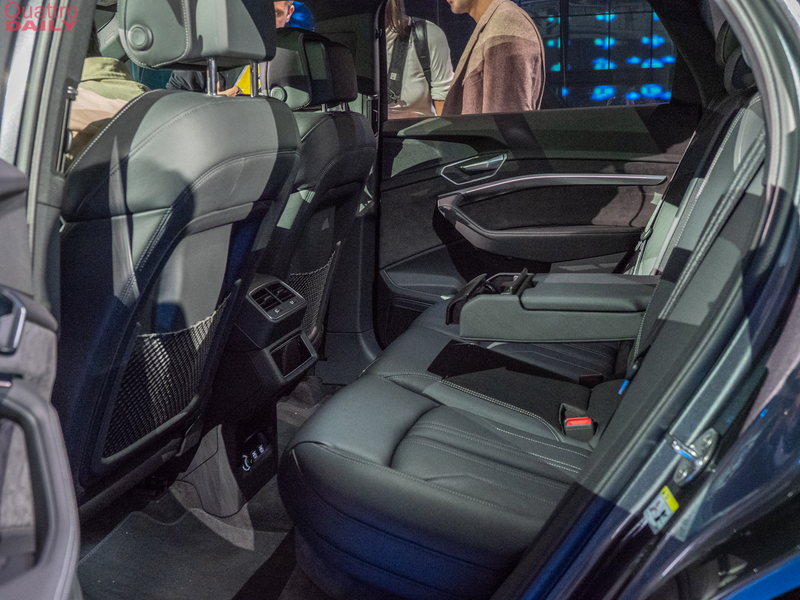 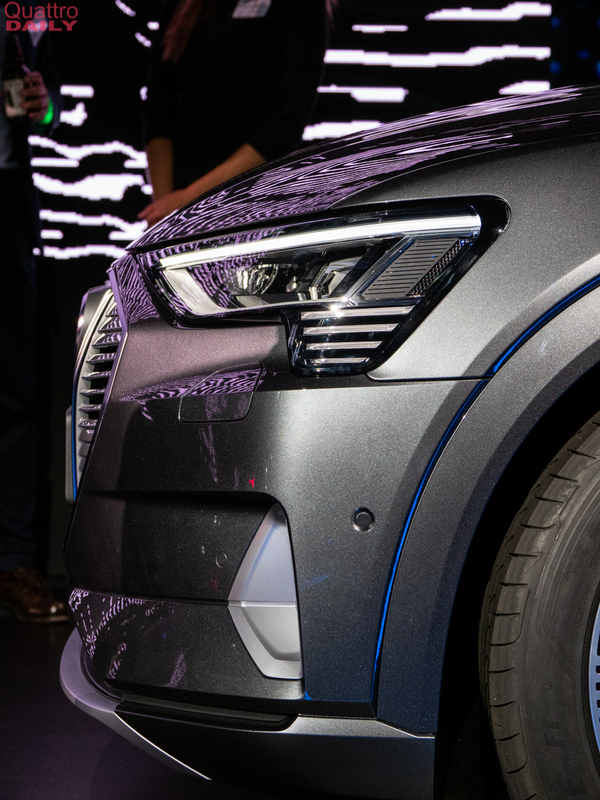 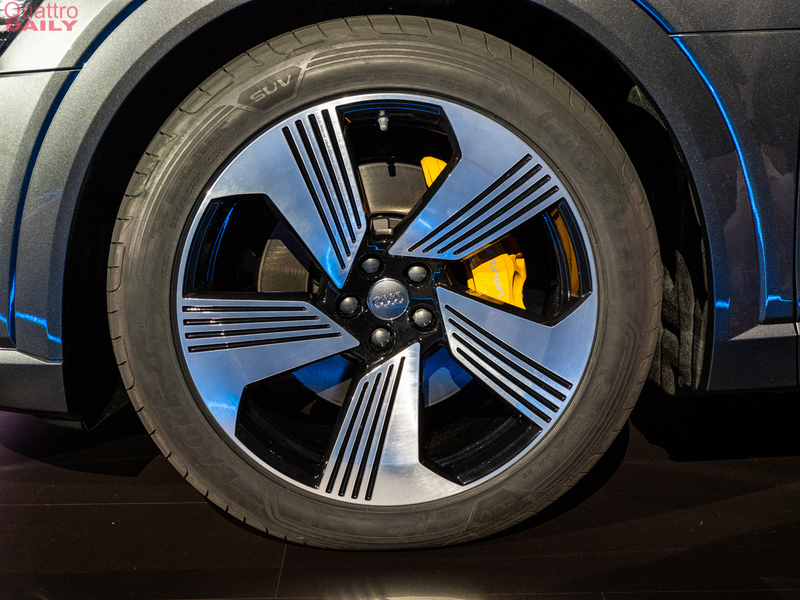 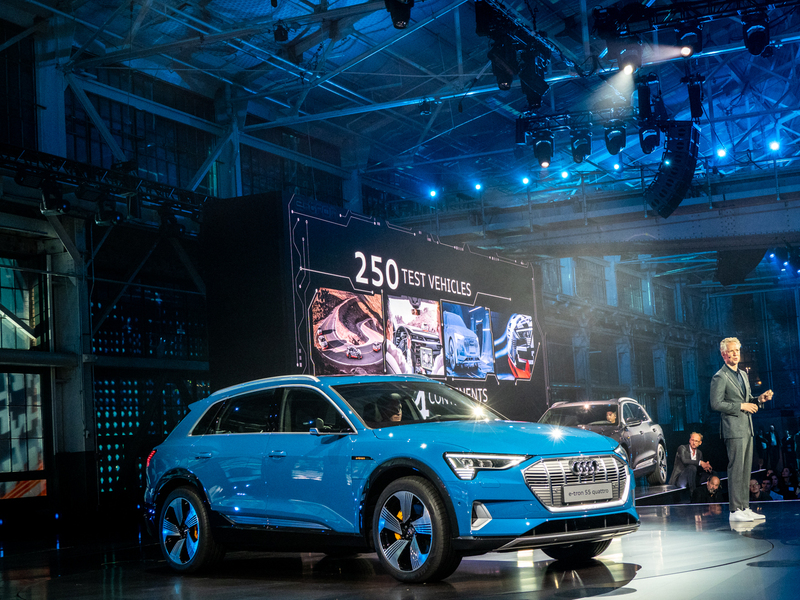 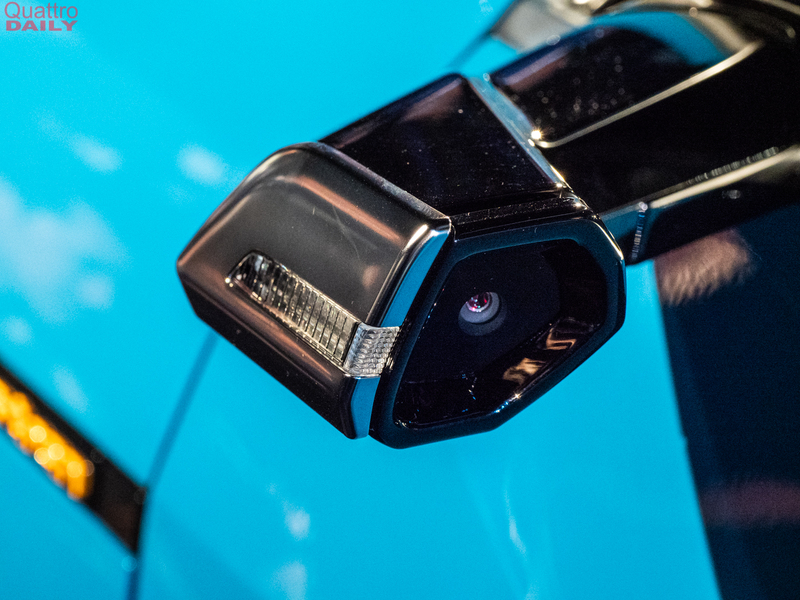 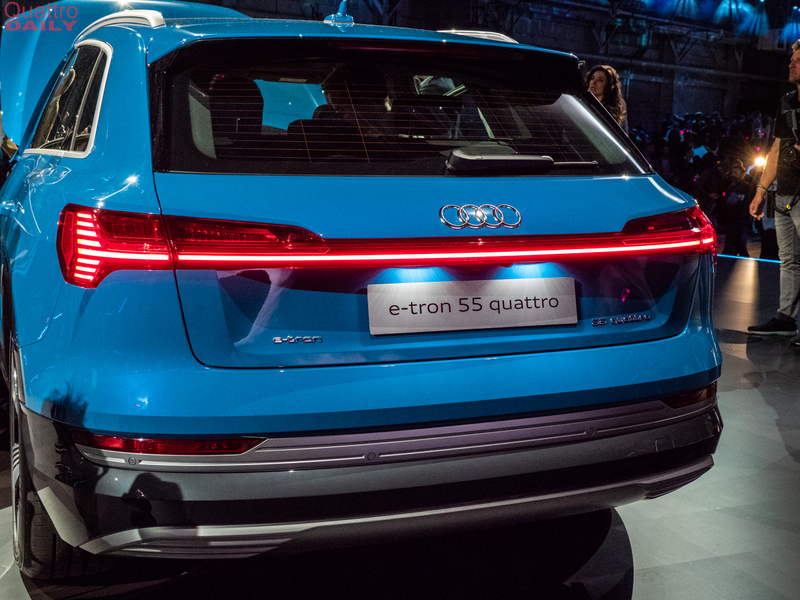 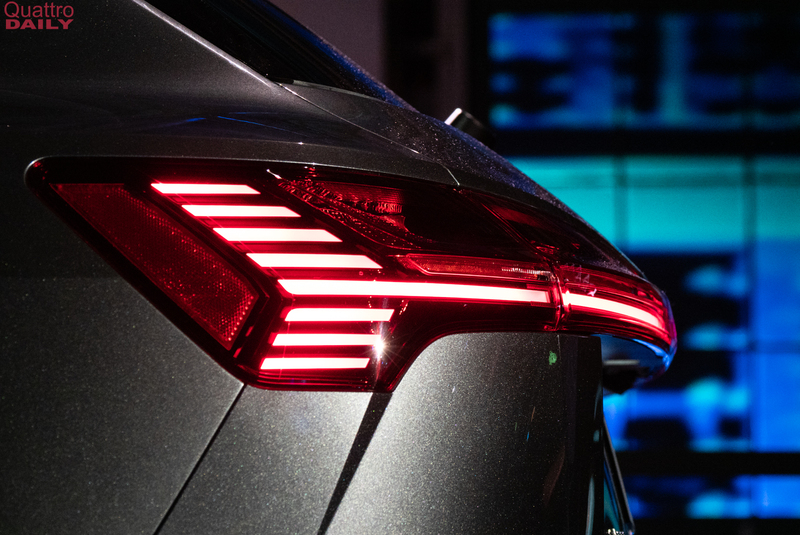 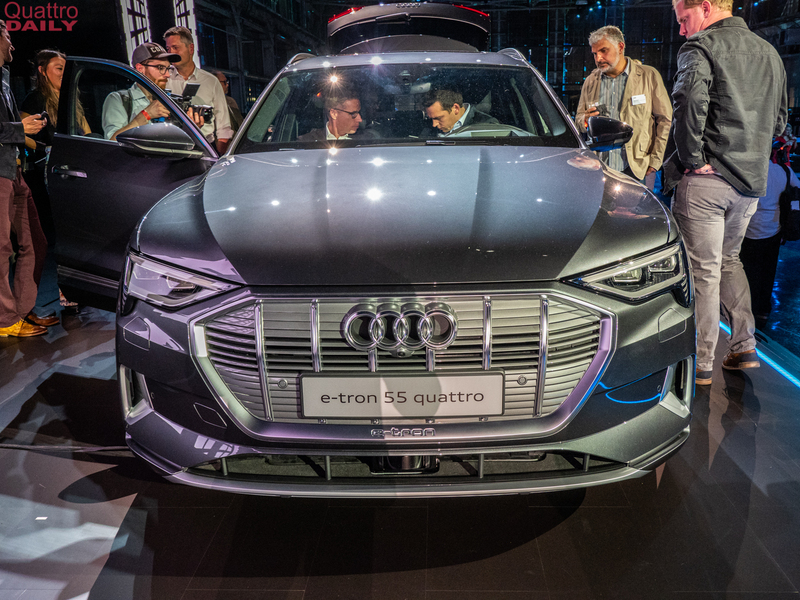 Now that the Audi e-tron is finally here, we can share with you all of the photos and videos that we were able to take while we were at its reveal event. 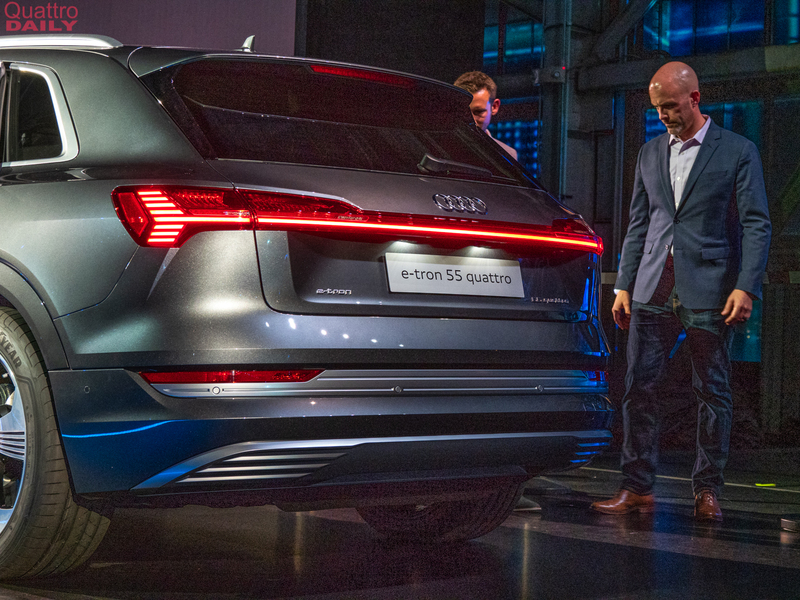 It was a helluva event that Audi put on but the car is even more impressive. 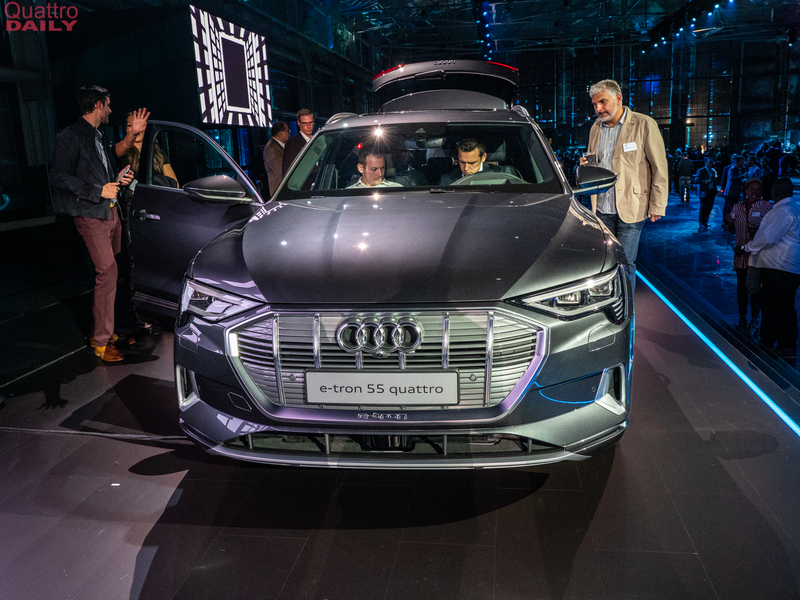 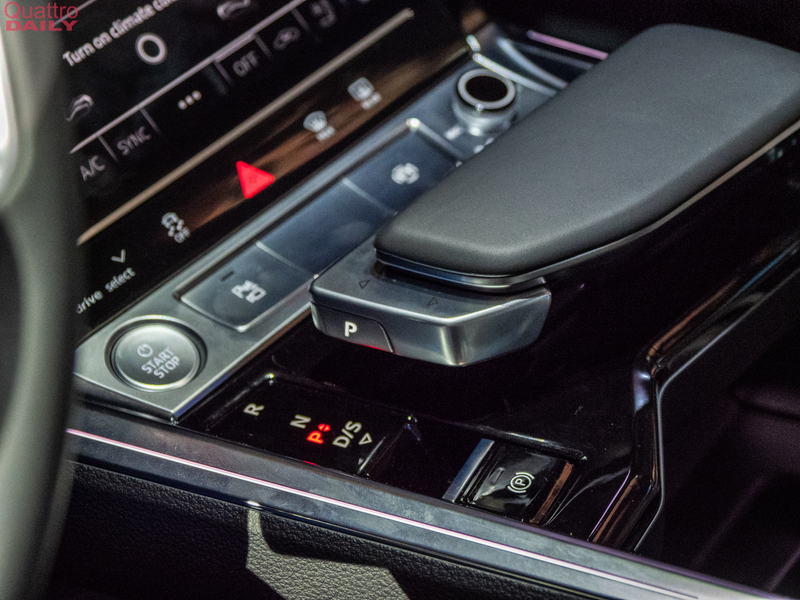 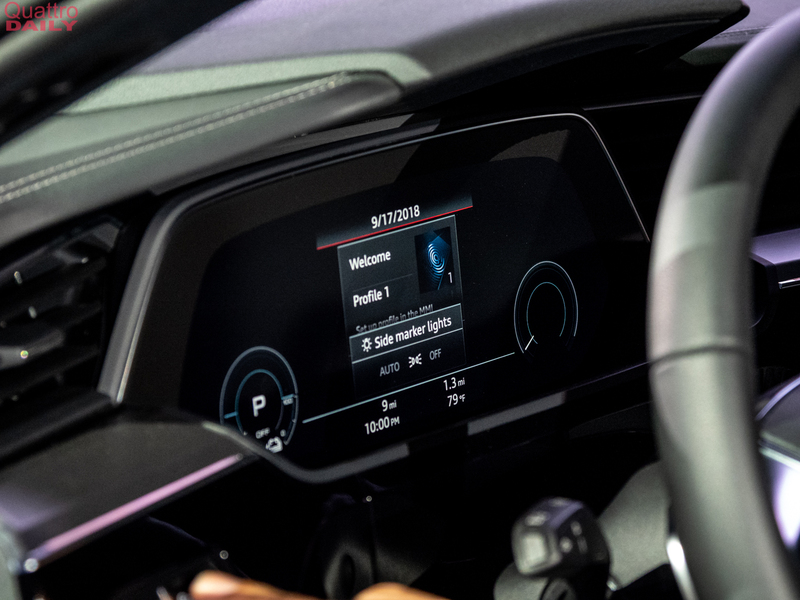 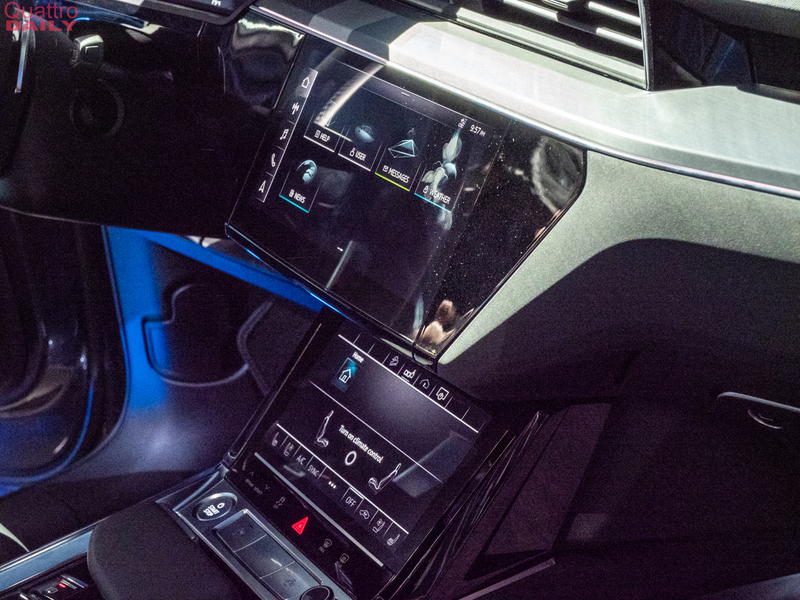 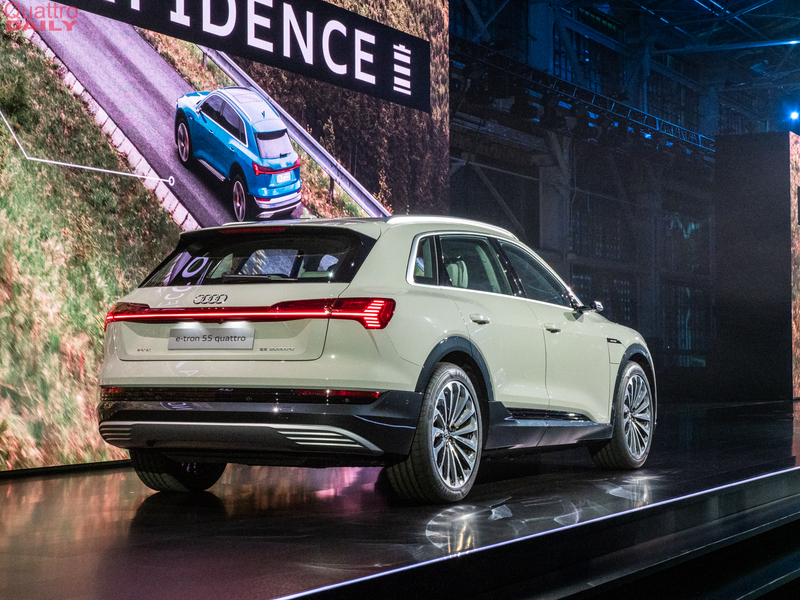 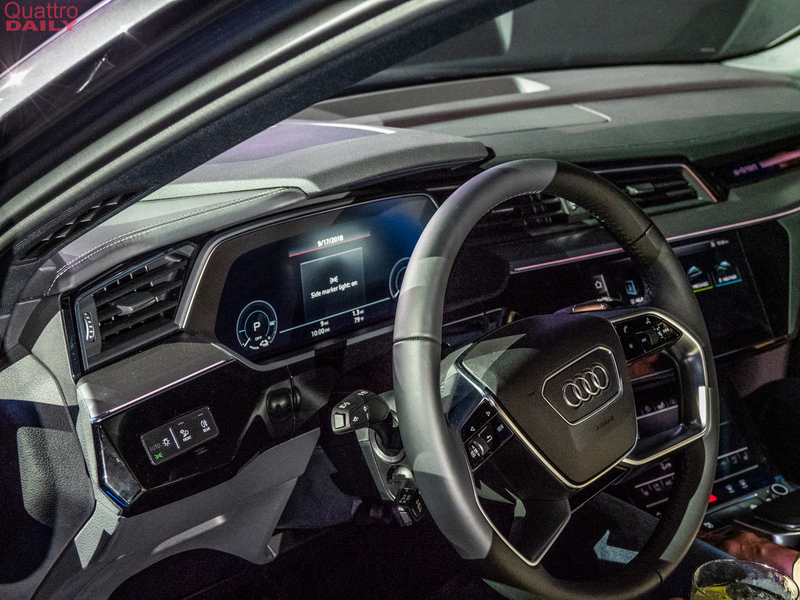 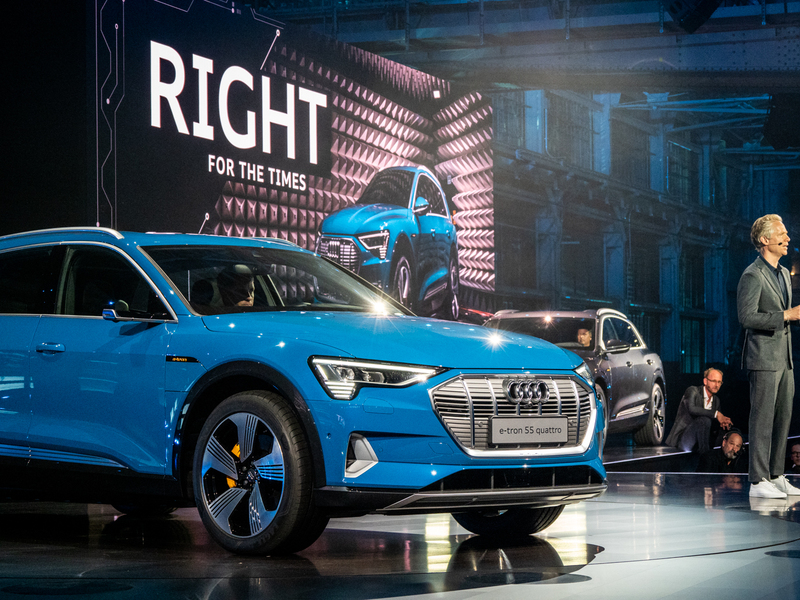 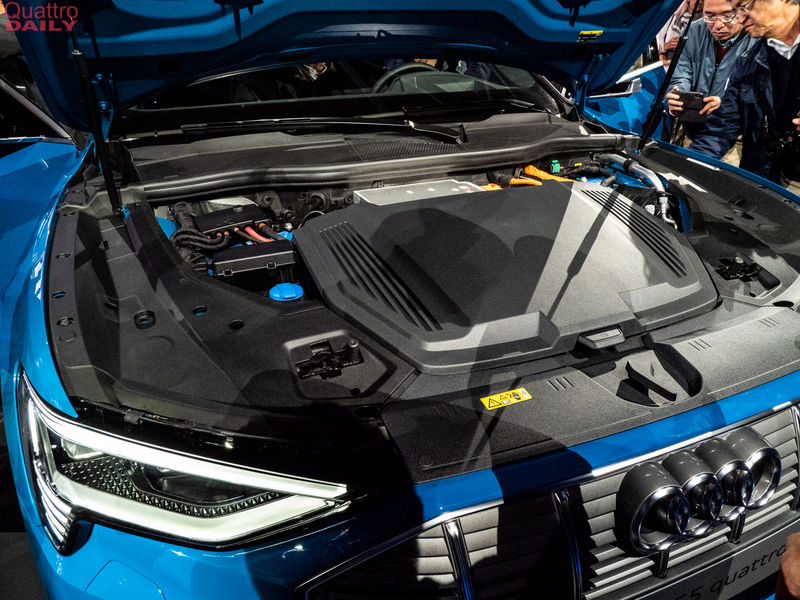 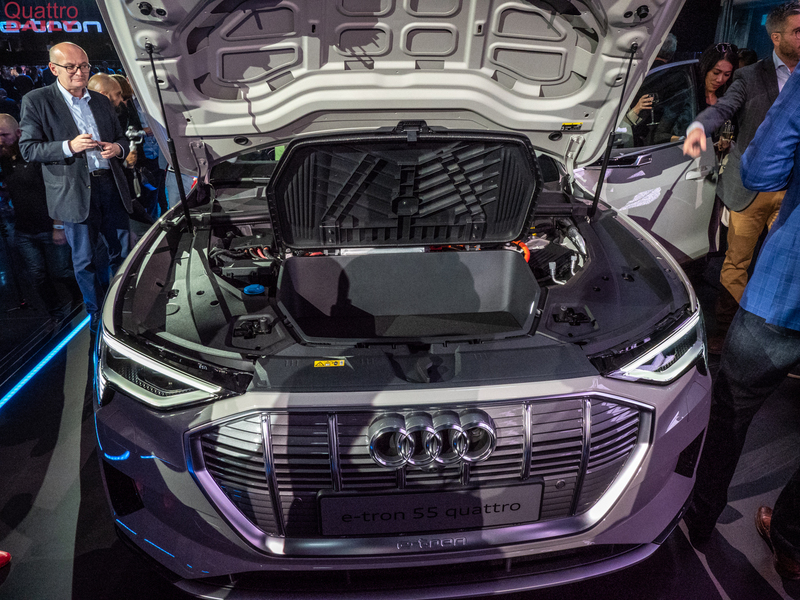 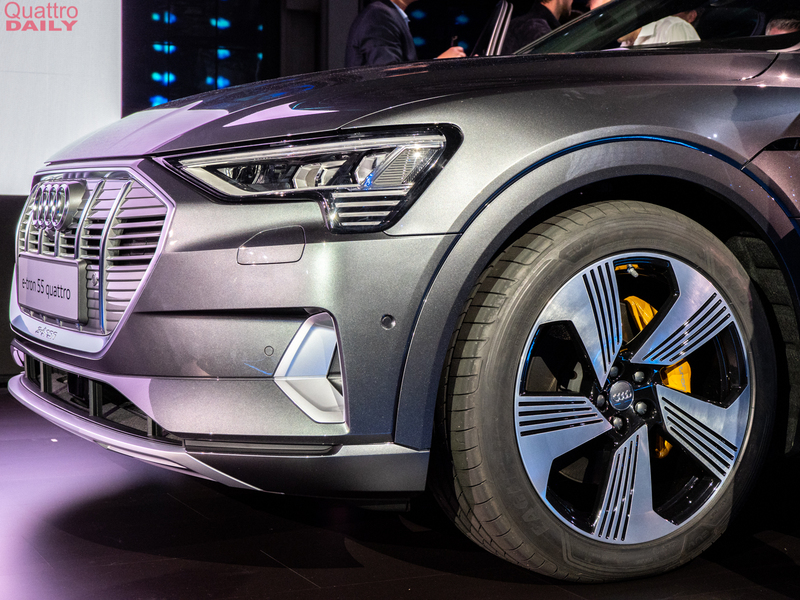 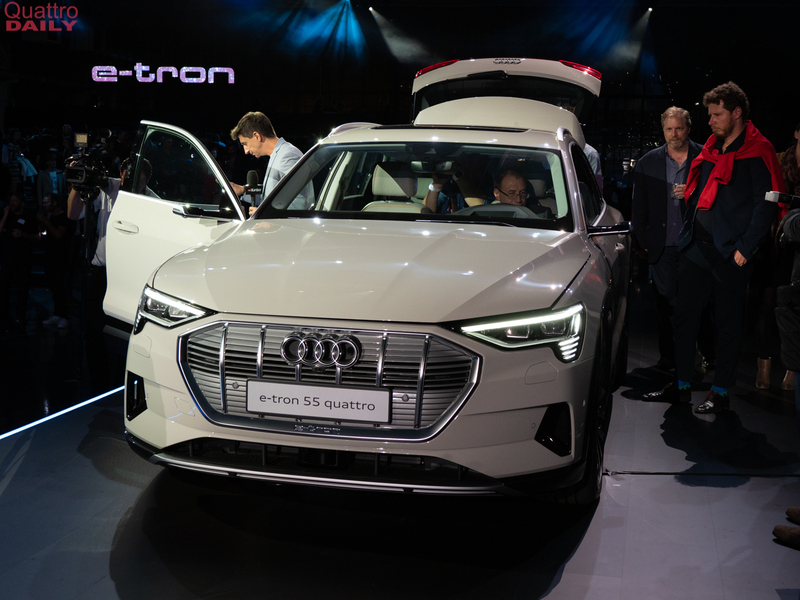 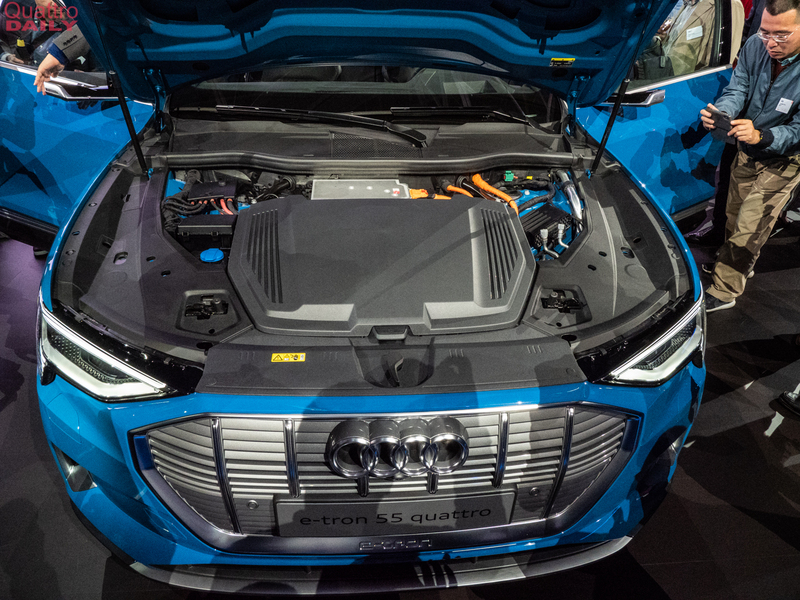 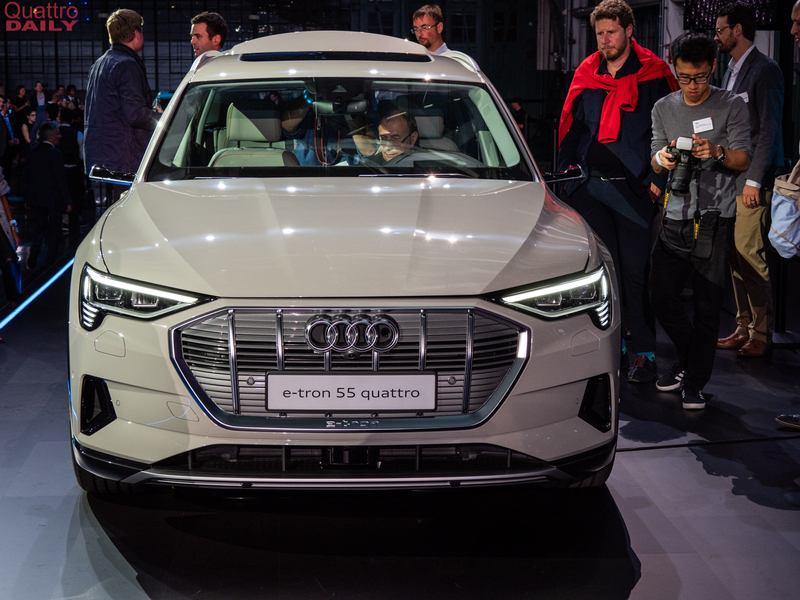 With its good looks, fantastic interior, good performance and the fastest charging capabilities of any electric car, the Audi e-tron should be a big hit. 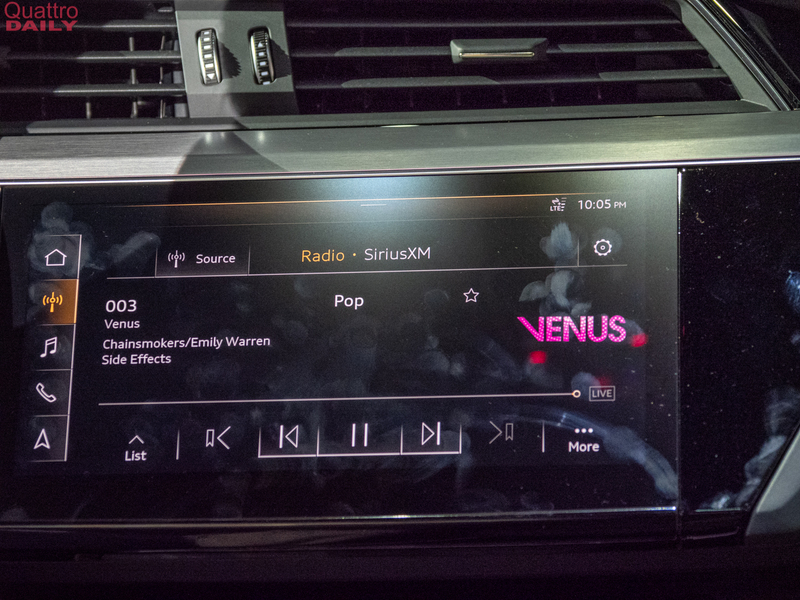 While at the event, we were able to take a bunch of photos and now that the embargo is lifted, we can show you. 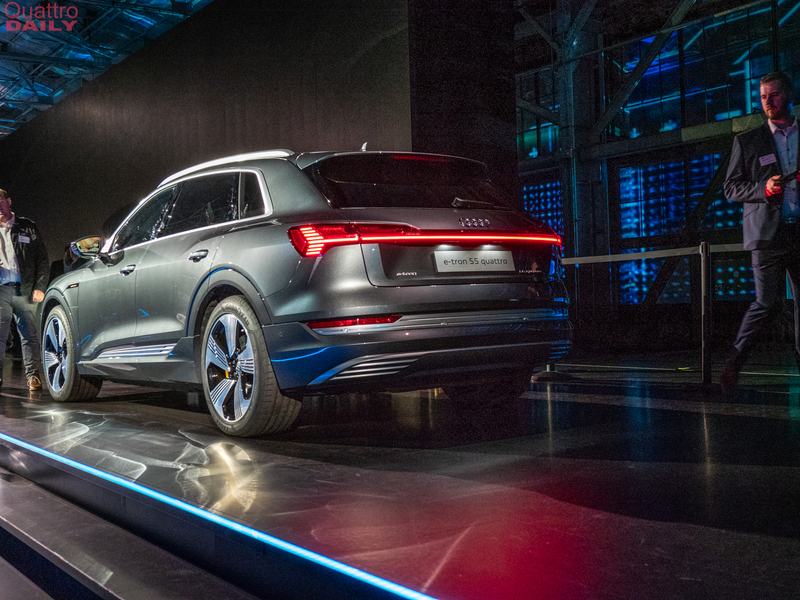 In person, the Audi e-tron is a very handsome SUV. 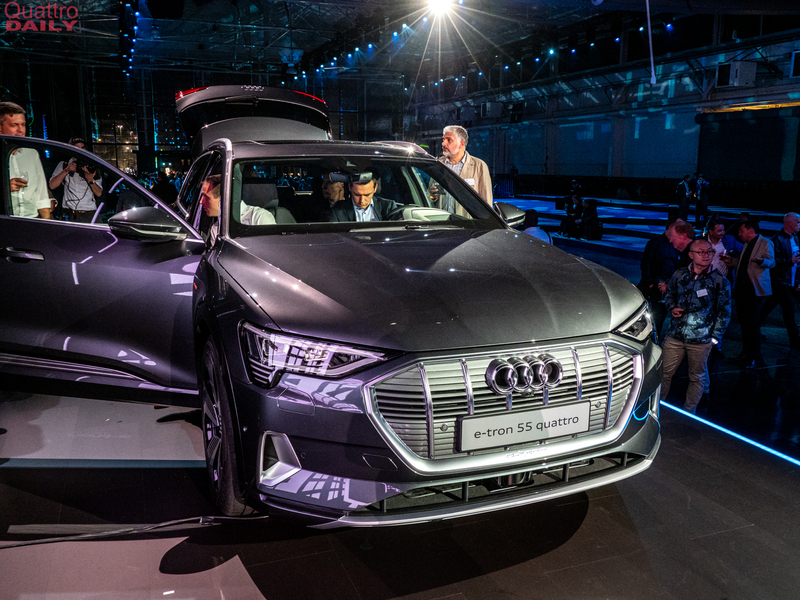 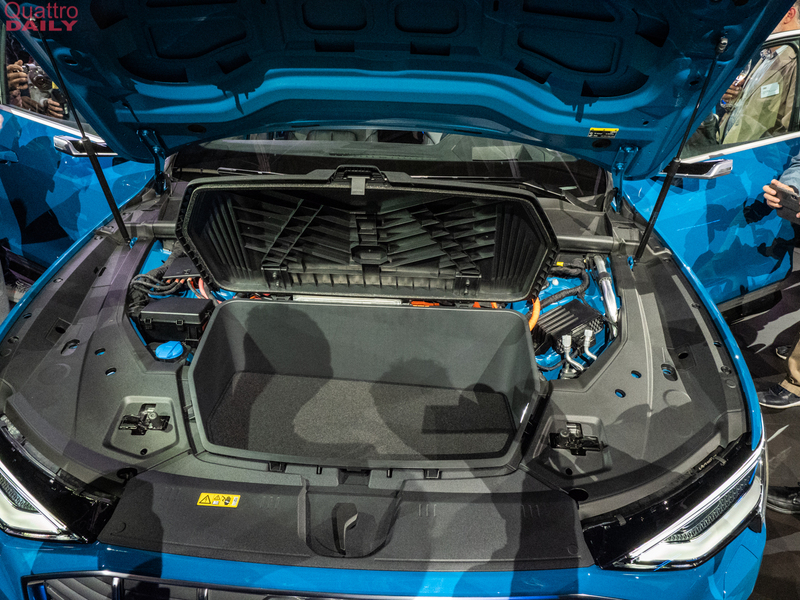 It might not be the most exciting, nor the most electric-looking, but it’s a good looking car that will surely attract buyers even before they learn of its electric powertrain. 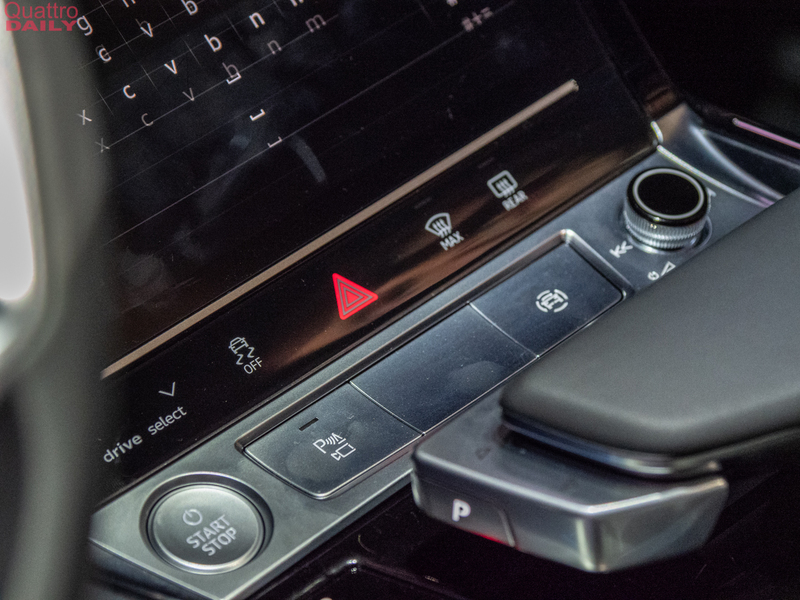 Which might have been the point behind the design. 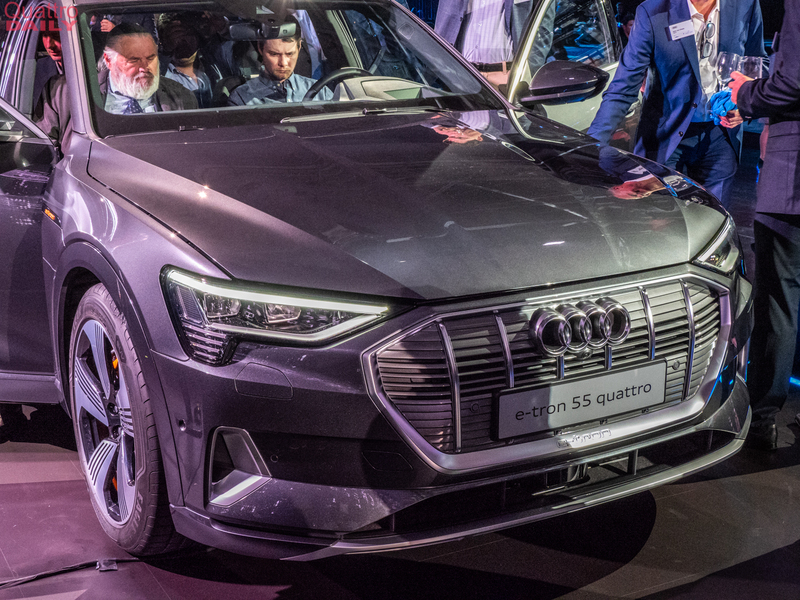 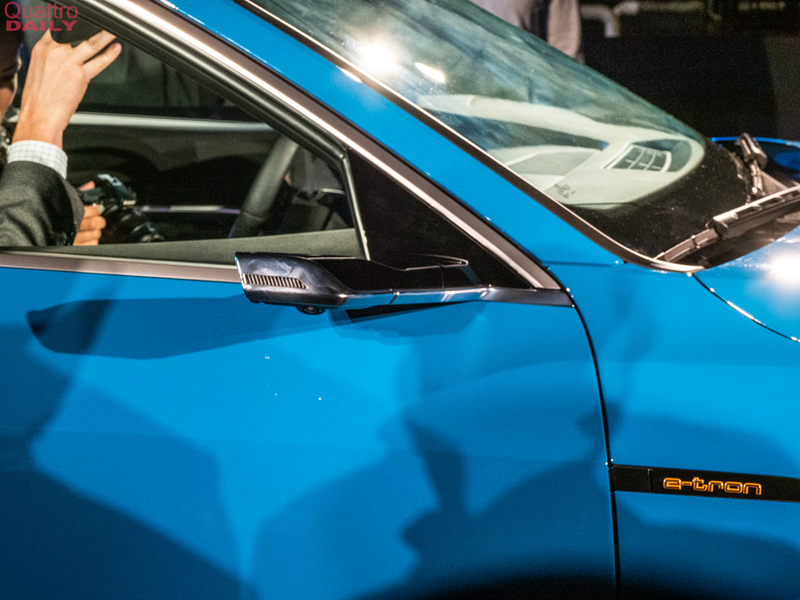 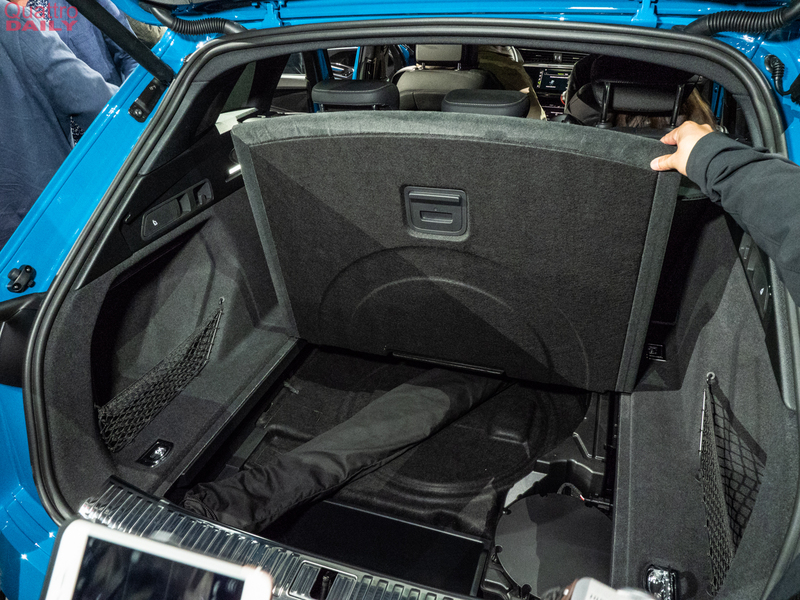 But then you factor in a 0-60 mph time of 5.5 seconds, its industry-first 150kW charging capabilities (faster than even Tesla’s 120kW) and the most impressive energy recuperation tech in a long time and you get an excellent all around electric package. 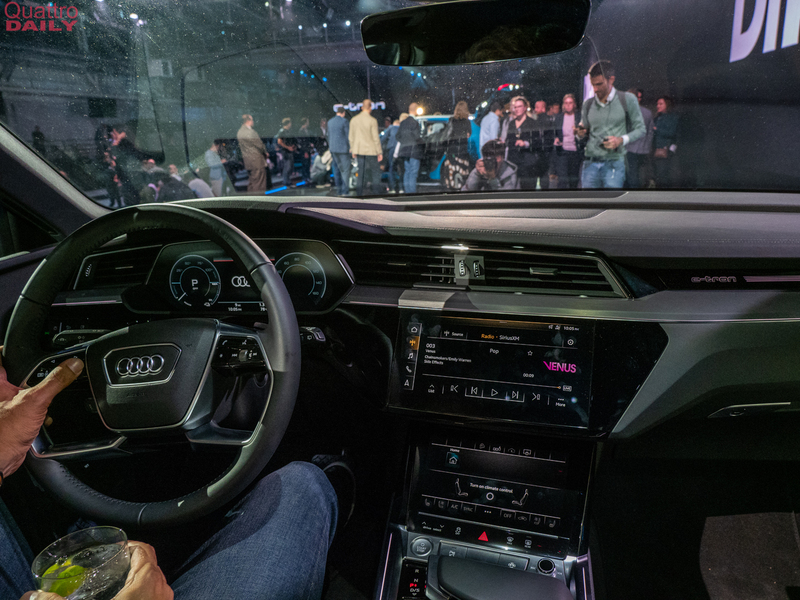 It’s also a lot smaller in person than it looks on screen. 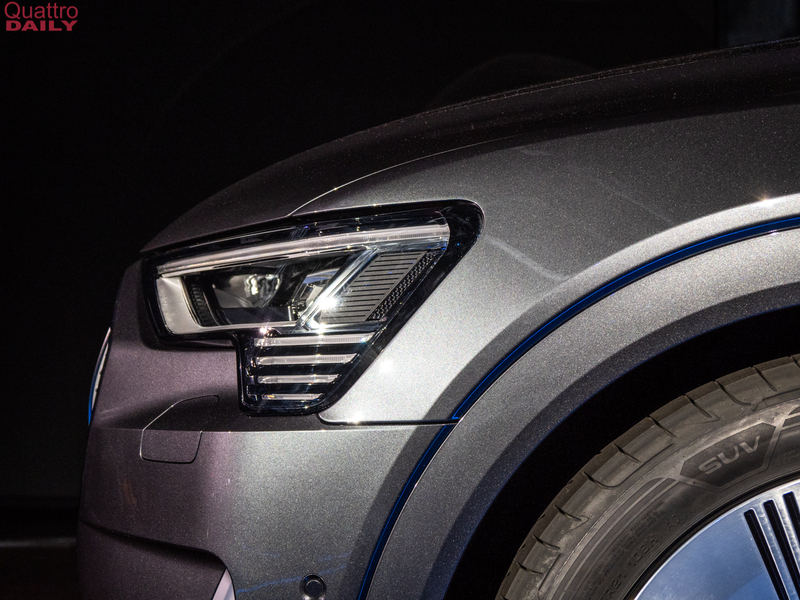 Though it isn’t small (technically, it’s similar in length to the BMW X5 and Mercedes-Benz-GLE), it feels small, sleek and sporty, thanks to its lower ride height and accentuated fenders. 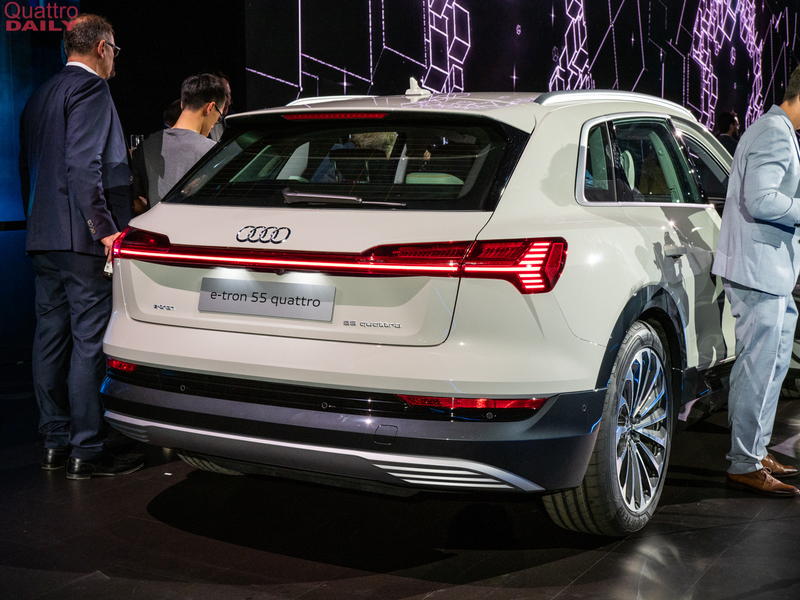 So it’s clearly the sports car of the brand’s SUV lineup. 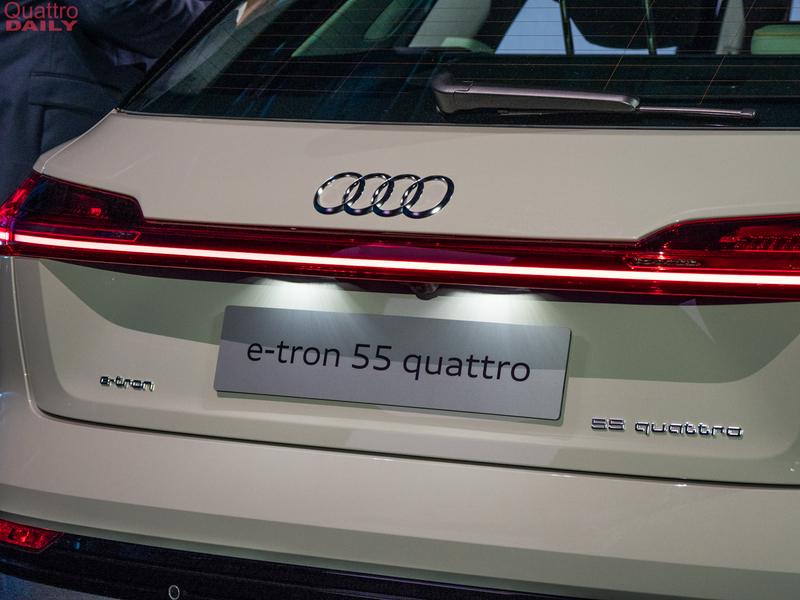 Which is awesome for an EV. 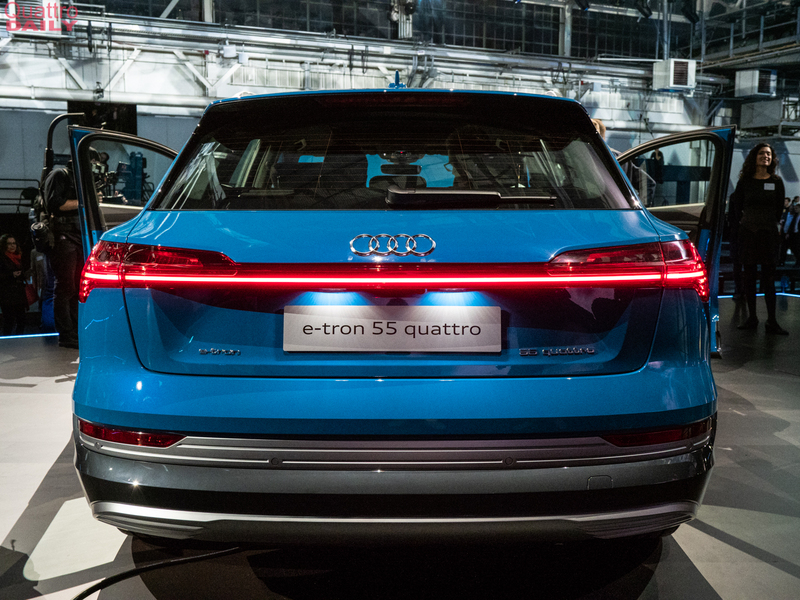 The Audi e-tron is going to be a big success, we think. 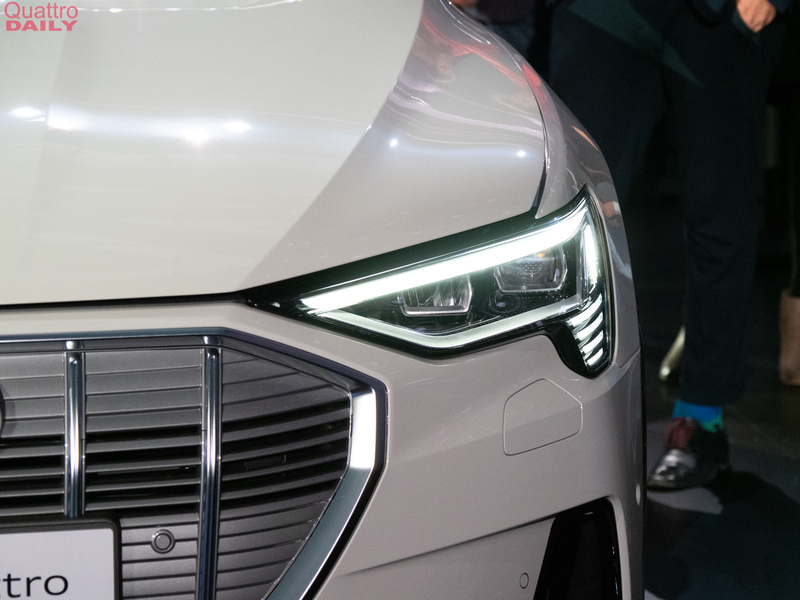 It’s clever in that it doesn’t look much like an electric car and only the keener-eyed enthusiasts will pick that out. 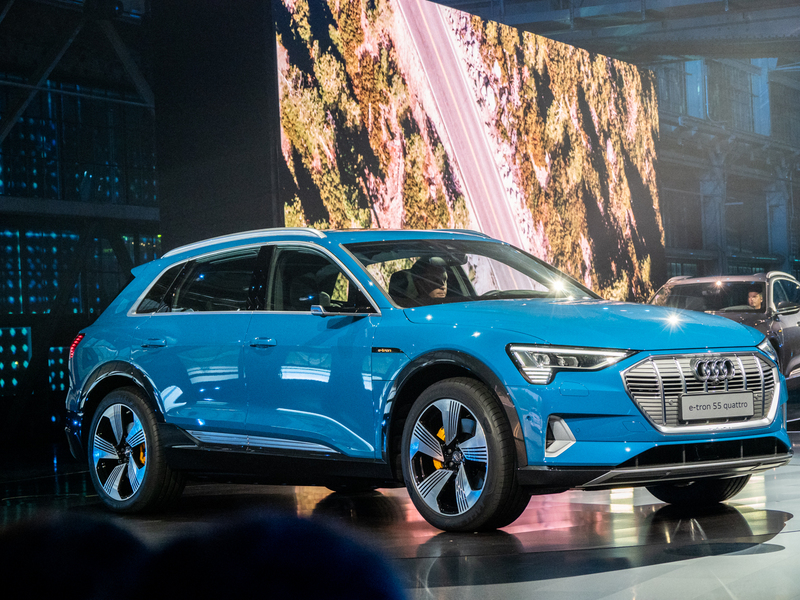 Thankfully, we’ll for certain be getting the Audi e-tron in America, and we can’t wait to drive it. 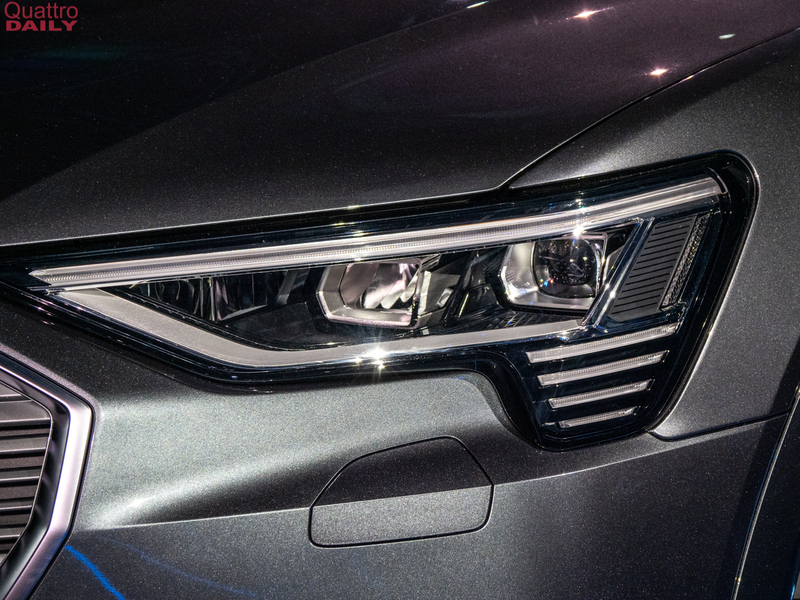 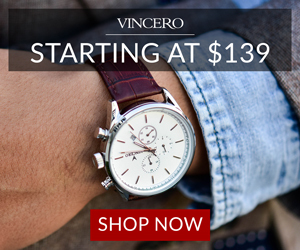 Stay tuned for more info/pics/videos.